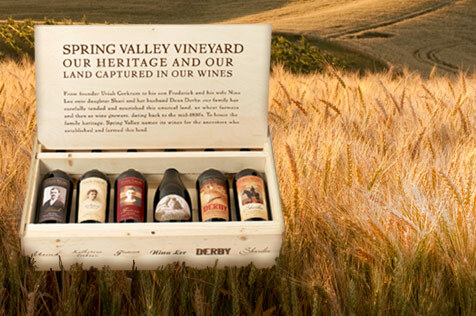 Find tickets for special events at our Spring Valley Vineyard Tasting Room and The Ranch, or we invite you to peruse our wine themed merchandise, perfect for gift giving or treating yourself. What better way to usher in summer than with these beautiful wines, all from the 2013 vintage. The bottles in this set are packaged in an elegant wood box. Perfect for a gift or for days spent taking in the great outdoors while manning the grill. Open up a bottle and fire up the barbie! 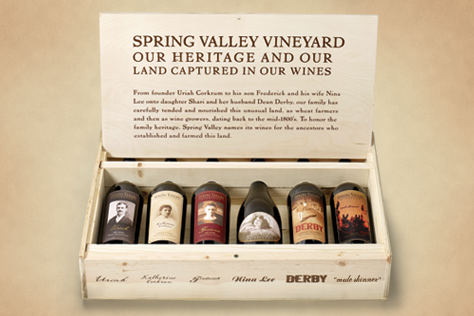 A limited edition box set featuring six 2011 vintage Estate wines from Spring Valley Vineyard. 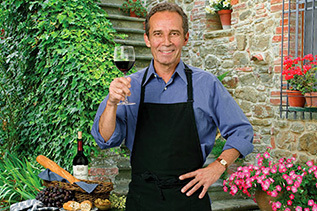 Chef in the Vineyard: Fresh & Simple Recipes from Great Wine Estates. 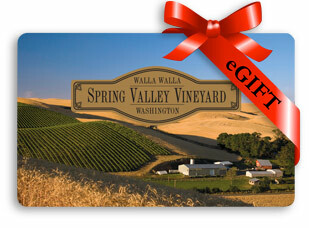 Send an electronic Spring Valley Vineyard eGift Card to yourself or someone special!